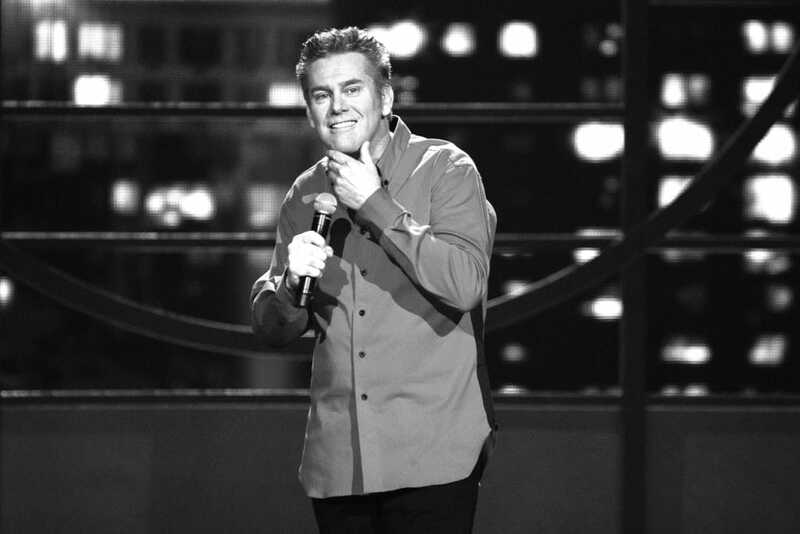 Brian Regan was deep in the heart of Texas early in his career, on his way from one low-paying comedy show to another. He was standing next to a road, waiting to catch a Greyhound bus — but wait, it gets worse. So, Regan was soon headed down the road on a hot, crowded bus. Sitting on the floor. Here’s the thing about Brian Regan: He didn’t mind. Others might have said, “This is a sign — I’m done with this life; time to get a real job.” Not Brian Regan. He stuck with his gentle, goofy, PG-13 comedy and soon enough was able to buy a car to drive to shows across the country. As a young comic, he became a favorite of David Letterman, eventually making 28 appearances on “The Late Show.” He hooked up as the opening act for a Jerry Seinfeld tour a few years ago, warming up the audiences for the headliner. He took small satisfactions from that experience, recalling one show at Heinz Hall in Pittsburgh. As Seinfeld commented, “Brian’s just a straight-up goofball.” That was when Regan guest-starred on Seinfeld’s web series, “Comedians in Cars Getting Coffee.” On the way to the Los Angeles cafe, Seinfeld picked up Regan in an $80,000 muscle car, a 1970 Dodge Charger T/A. No more Greyhound rides for Brian Regan. See Brian Regan live at the Paramount Theatre, Sunday, May 14, 7 p.m. Tickets are $45-$55, available at paramountvt.org or 802-775-0903. The Paramount Theatre is located at 30 Center St., Rutland.